Anybody who had the chance to visit EuroLeague FanZone seems to be a winner after all. It is a lifetime experience not only for basketball players but for fans as well. Fortunately, Athlenda was there to live it all with you! If someone did not yet had the chance to experience EuroLeague FanZone, you should. From event organization months before the actual event, it was already clear that it would be more than a lifetime experience but being there and feeling the vibe was something else! It had it all… Fun, Games, 3×3 tournaments, Basketball Superstars, young talented players and above it all great weather to enjoy Belgrade. From Day 1 we were thrilled to have basketball superstars join our booth. Those who did not know us yet showed their interest in what we do and how we help young talents to get promoted. Their support was genuine as they know best how hard it is to stand out in this competitive world and prove your skills. We had the privilege to collaborate with Euroleague and assist the registration process for the Adidas 3×3 tournaments on our website. Hundreds of young talents rushed to join Athlenda and apply for the 3×3 to SHOW THEIR TALENTS. The best part for us? We met all those Players-Athlenders in person in the FanZone. We had fun, laughed and mostly played together. To see so much passion in their eyes to prove their skills was truly motivational for us to keep getting better in helping young talents get drafted with our platform. 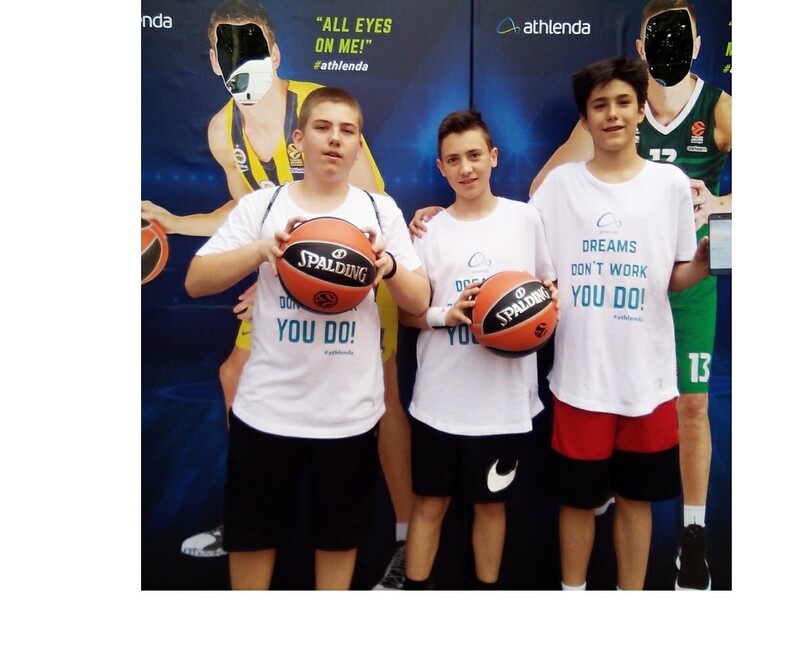 EuroLeague FanZone was the ideal place to show Athlenda’s fun side. With our creatives of TOP basketball superstars of the F4, we got to laugh a lot ourselves and offer moments of great fun to our booth’s visitors as well. 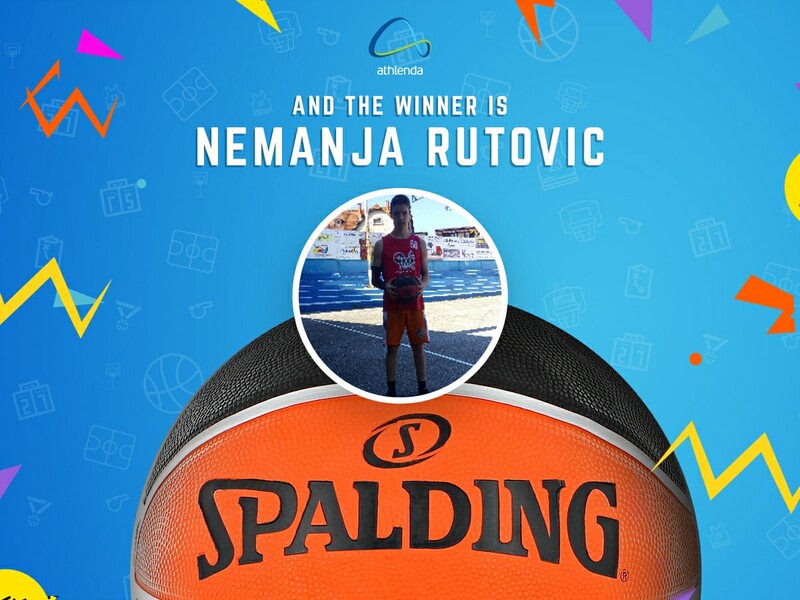 To motivate players, even more, we had a contest for young basketball talents to win the original EuroLeague Spalding. The winner? The 17-year-old Forward Nemanja Rutovic from Serbia. Now Nemanja can practice his skills and improve even more with a professional ball. CONGRATULATIONS!!! From Athlenda team to Basketball Superstars and young talents we were all cozy and stylish with our LAVUE outfits. These wonderful T-shirts were there to keep us stylish and great on and off camera😉. All you guys who asked where you can get one of these, here it is your… LAVUE! Enjoy! We’ve learned that basketball connects us all. Young and old, tall and short, boys and girls. We’ve learned (though we had no doubt) that EuroLeague is the best possible Basketball Event you can visit and you should not miss it. We’ve learned that when looking in the eyes of a young basketball player you can see their dreams and the best part is that we know how to make them happen! See you all soon…till then, JOIN ATHLENDA!